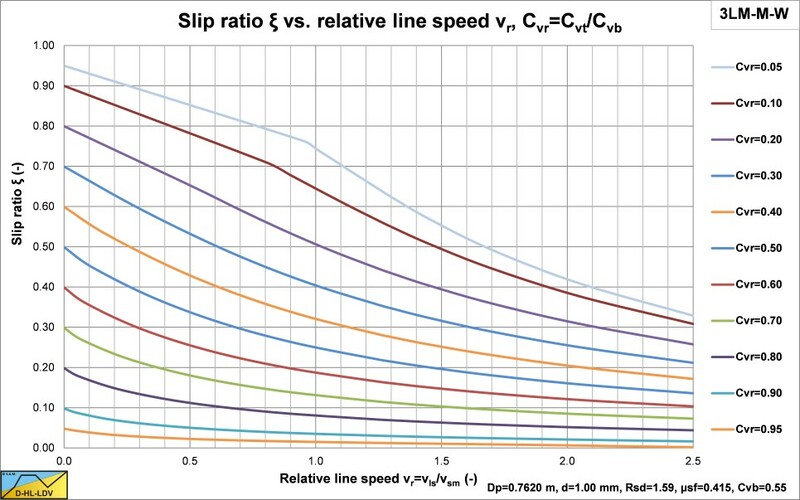 The 2LM model includes the Miedema & Ramsdell (2014) model based on the weight approach, with the Miedema & Matousek (2014) bed shear stress approach. 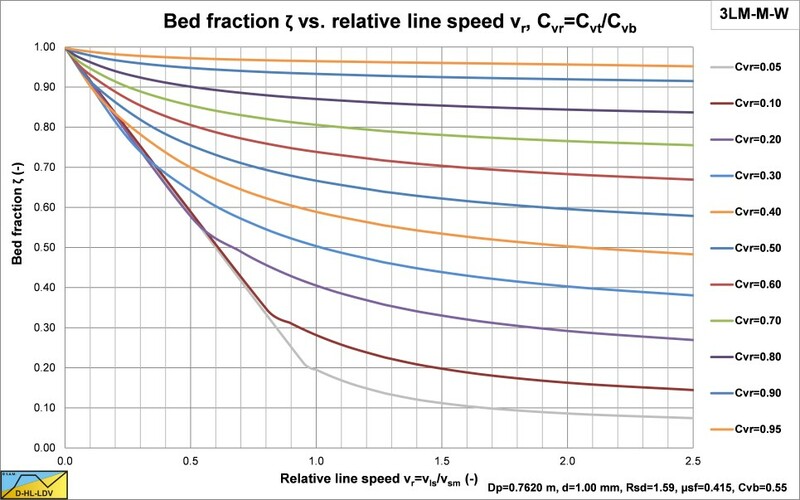 The 3LM model also includes the Pugh & Wilson (1999) equations for sheet flow. 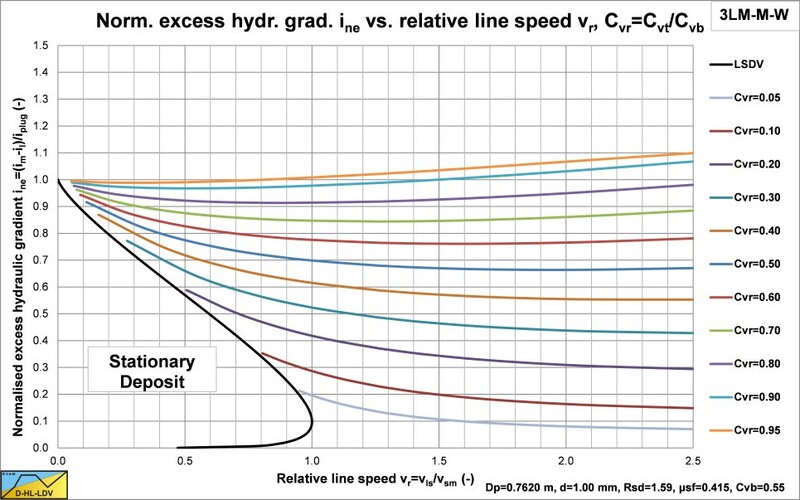 The relative transport concentration versus the relative line speed. 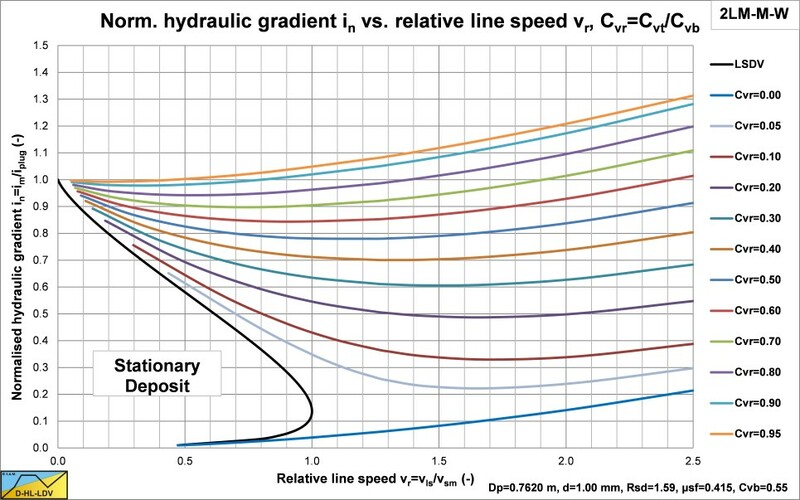 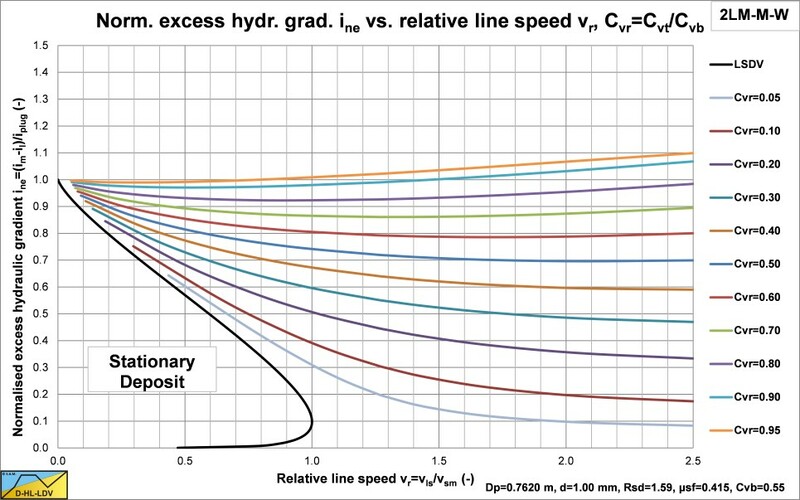 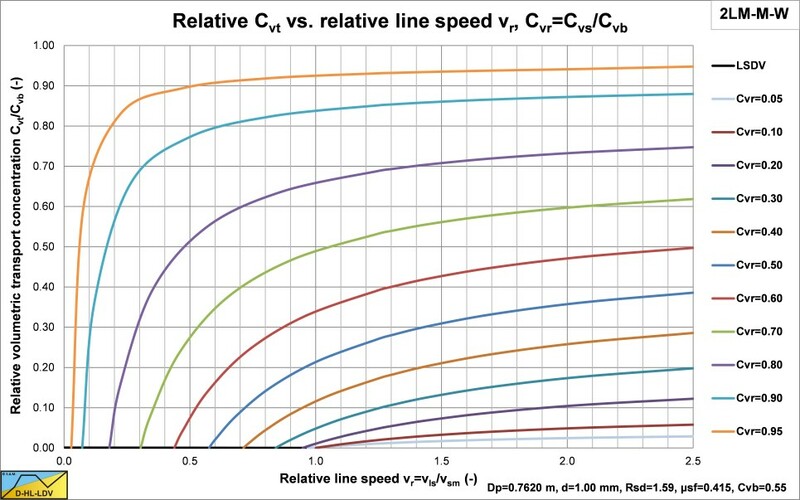 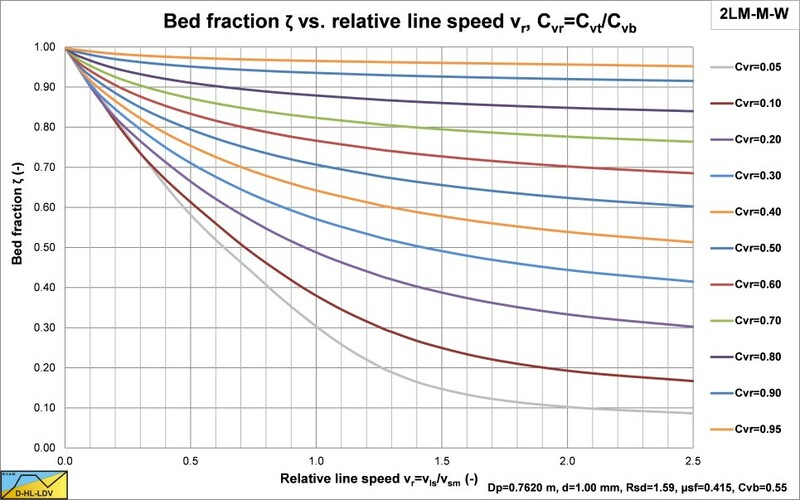 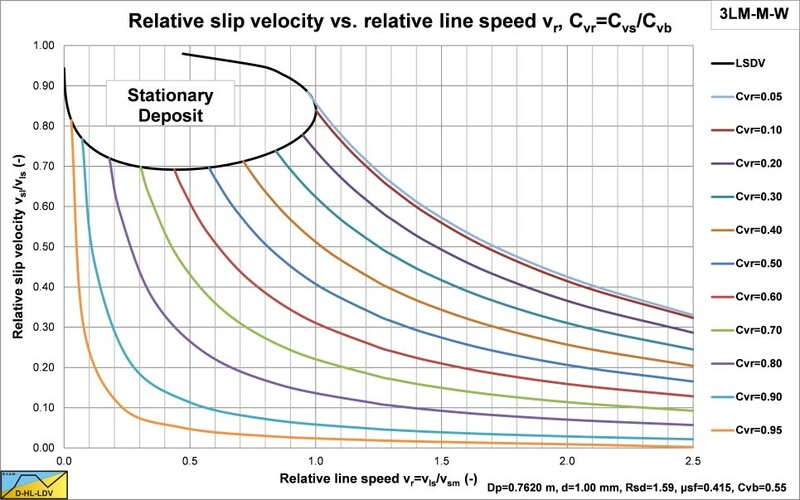 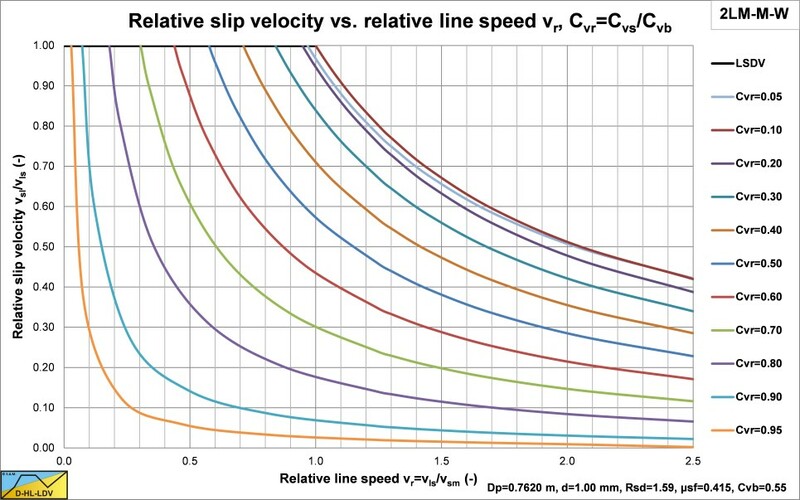 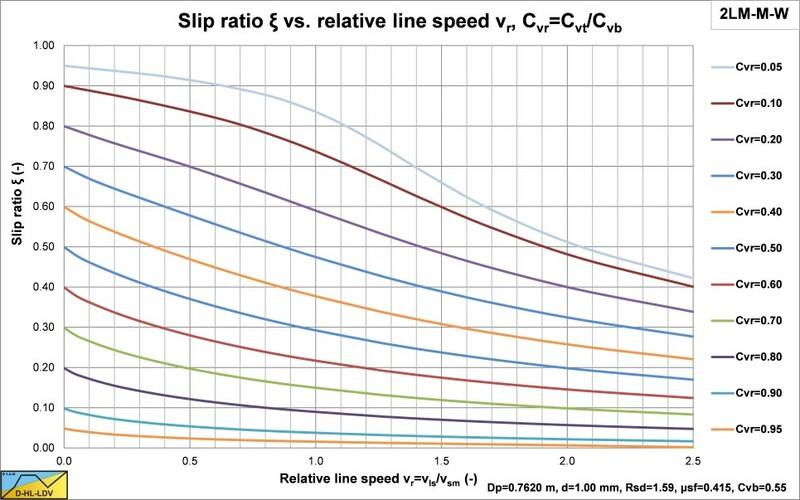 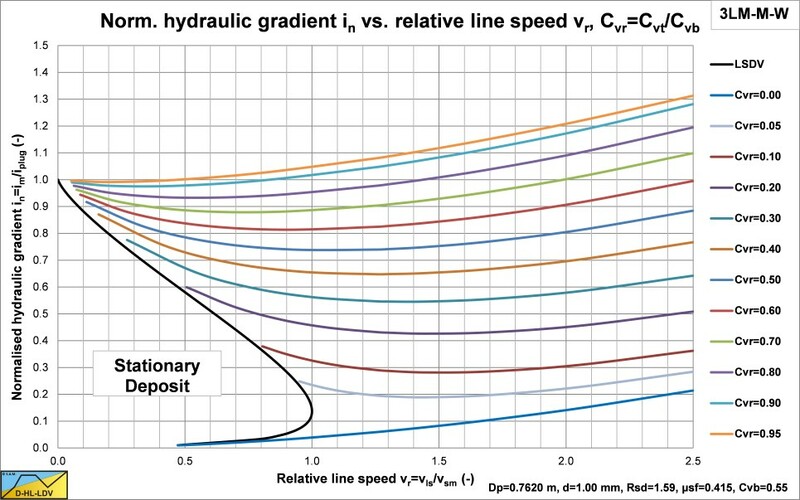 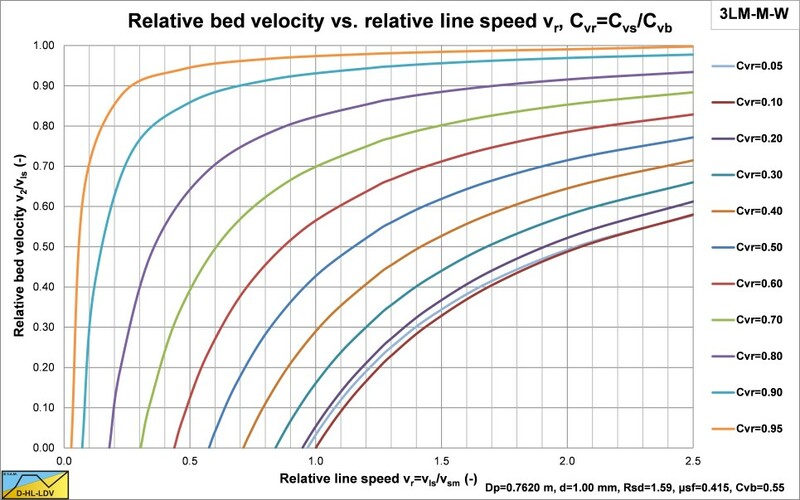 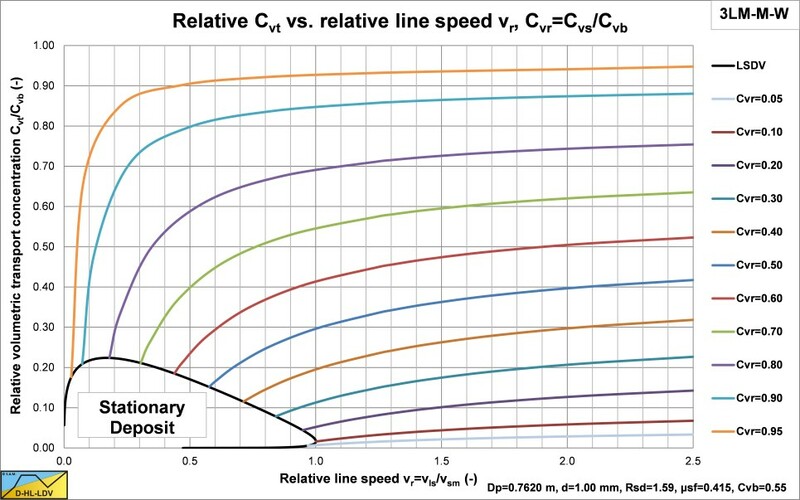 The slip ratio versus the relative line speed.